Addiction is a most common problem and people get addicted by various factors such as alcohol and drugs. De-addiction care service providers help patients to overcome addiction through safe and effective programs. Addiction treatment centers provide several customized programs that help to improve and strengthen the lives of thousands of patients. Personalized treatment programs helps patients to know about different bad habits and help them to overcome various addictions. BHN healthcare services offers reliable de-addiction treatment services for patients across the world. We are specialized in providing superior quality patient care programs customized to individual needs. We provide recognized de-addiction treatment programs that help people to prevent addiction and live healthy lifestyle. BHN offers a comprehensive range of care and prevention programs ensuring people that the addiction is treatable and preventable. As a full-service healthcare organization, we offer de-addiction treatment services for patients of all ages, especially adult and youth. By providing effective de-addiction treatment services, our aim is to relieve patients from alcohol and other drug dependence. We offer a complete range of treatment options including treatment with medication and without medication assistance. Whatever kind of addiction you have, alcohol, narcotic drugs and prescription drugs, we have specialized treatment programs to help you overcome addictions. De-addiction care is provided by a team of experts including practitioners, certified counselors, psychiatrists, knowledgeable nursing staff, social workers and more. To provide with you the best services, we incorporate both traditional and non-traditional treatment methods. Our treatment programs aims to educate patients with the knowledge to prevent addiction and regain the health and happy life. 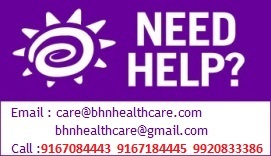 BHN healthcare services offer a comprehensive treatment approach that meets each individual's unique needs. With quality de-addiction services, our ultimate aim is to provide patients with a drug-free lifestyle. With patient-focused care, we try to develop the whole treatment process in collaboration with patient's active involvement. The addiction treatment services we provide ensure safe recovery and prevention as well as help patients to develop social and learning skills. Our de-addiction care also includes counseling programs that makes patients aware about unhealthy effects of various addictions. To know more about our de-addiction treatment services or to schedule an appointment with us mail us at bhnhealthcare@gmail.com.